Regional: European Union ministers approved a plan on Sept. 22 to share the burden of relocating up to 120,000 people from Greece and Italy, two of the three countries where the most migrants have arrived in Europe. This New York Times interactive details the planned distributions and how the numbers have been decided upon. What makes LGBTQI persons particularly vulnerable in detention? Jean-Jacques Gautier NPM Symposium focuses on the situation and experiences of sexuality and gender-diverse people deprived of their liberty. It’s time for Europe to rediscover the best of itself: adopt the common humanitarian visa. Caritas Europa details the advantages of humanitarian visas, as a means towards safe and legal access to the EU territory, saving thousands of lives and helping put smugglers out of business. “The Dublin System and the Right to an Effective Remedy”. “The security agenda prevails and human mobility continues to be seen as a threat rather than an opportunity”. Over the past two decades, security focus across the EU has shifted to migration, and has resulted in major efforts towards securing external borders, the creation and maintenance of detention facilities, and efforts to criminalise and define unwanted human mobility. The human tragedies of such punitive policy directions continue. 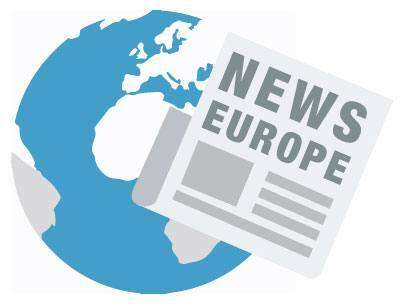 Germany: Sudden, brief suspension of the Schengen system mid-September, raises concerns about the implications of German border closures on already chaotic migration pathways into and throughout Europe. Switzerland: The updated Asylum Information Database (AIDA) report on Switzerland, discusses the new rules for administrative detention of asylum seekers in the Dublin procedure, which entered into force in July 2015. Greece: Another boat tragedy, with more loss of refugee lives reiterates the need for safe, legal passage to Europe for those fleeing persecution and poverty. Greek aid worker busts 7 refugee myths. Timely review of Greece by Human Rights Committee. Listen to archived webcasts here. Croatia prepares for a rise in refugee numbers, and the need to establish long-term resettlement systems. At least 3200 refugees are allocated to Croatia as part of EU quota plan. 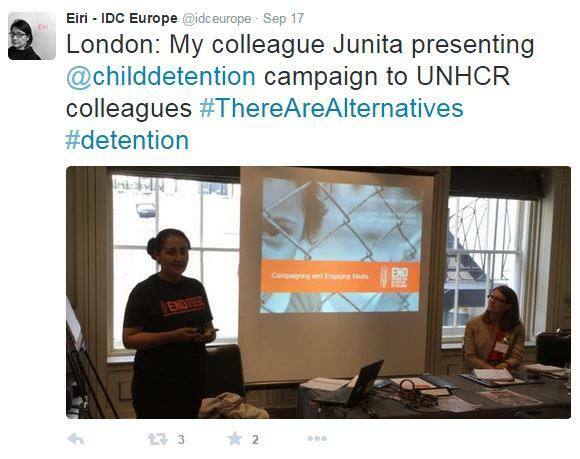 UK: Parliamentary pressure for immigration detention reform mounts. 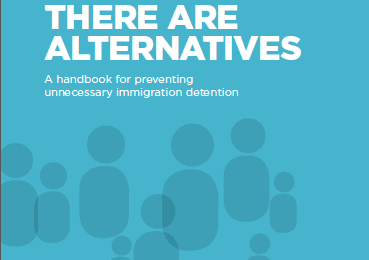 At a Chambers debate on immigration detention this month, 25 cross-party MPs spoke up in favour of a major overhaul of the current system where detainees have been locked up for months – if not, years. In the past year alone, the UK detained 32,053 people in immigration removal centres across the country. Michael is from Ghana. He spent two and a half years in migrant detention in the UK. Now he’s part of an organisation called Freed Voices which works with migrants. The UK is the only country in the EU which has no limit on the length of time that asylum-seekers can be detained. 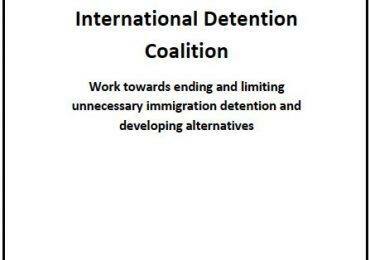 But MPs have now called for an end to indefinite detention. The BBC’s Bola Mosuro spoke to Michael about the practice. Czech Republic: “Refugees are being treated like criminals”. The Organization for Aid to Refugees (OPU) reports from the ground on inhumane conditions in the country’s detention centres. NGO activist Martina Ahmed-Čermáková works in the Czech Bělá-Jezová centre. This account of her experiences speaks not only to a lack of physical freedom and punitive management methods, but also to the lack of dignity afforded refugees: through forced strip searches, confiscation of all personal effects, and of fees demanded by authorities from refugees whilst they are housed in the centre.